Buy Your First Home with Our Guide for First Time Buyers. Don’t be daunted by the leap into unknown waters! 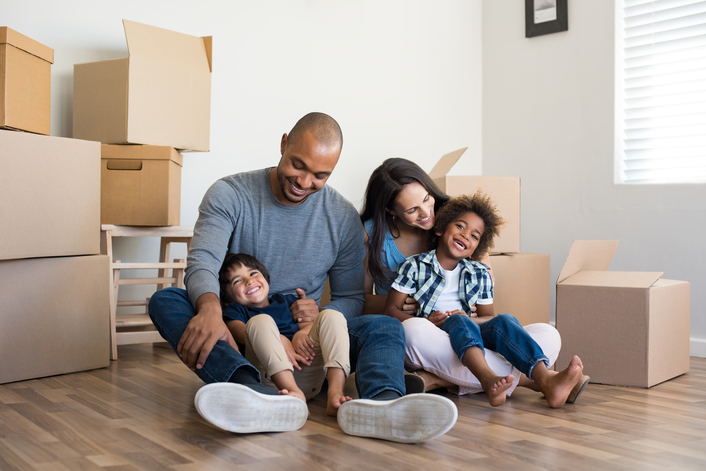 Buying a home for the first time may seem like an overwhelming process, especially when you have no idea where to start, but that’s why we’re here for you. Learn more about the process of obtaining a mortgage, finding the perfect home, and making an offer, and you’ll be on your way to owning your very own home in Central Indiana! First and foremost, let’s talk about mortgages. Most buyers need one, and there are a lot of options that vary greatly from lender to lender and from buyer to buyer. This means it’s important to understand what you’re looking for and talk to a lot of different lenders to ensure you’re getting the best deal possible. There are four basic types of mortgages used by the majority of home buyers. Conventional Mortgage: This is the standard loan used by buyers with good to excellent credit who make down payments of at least 10%. However, there are programs that offer options for lower down payments based on buyer credit and location. FHA Mortgage: These loans often apply to buyers with lower credit scores, as they offer a down payment as low as 3.5% and lower interest rates. However, FHA mortgages do also require mortgage insurance premiums, which can result in higher overall costs. VA Mortgage: All veterans and active military members qualify for VA loans. These offer up to 100% financing, simplified loan approvals, and lower interest rates. They can be much lower than conventional loans. USDA Mortgage: These loans are available to buyers in rural or low-density areas and offer up to 100% financing and below-market interest rates. Their ideal buyers are of average means, have lower credit scores, and are buying modest homes. 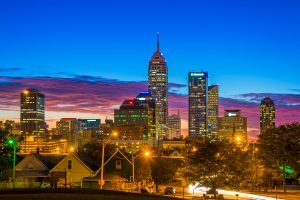 Additionally, because of the government’s loose definition of the term “rural,” some of the buyers in the smaller communities surrounding Central Indiana will qualify for this loan. Principle: This is the repayment of the initial amount you borrowed from your lender (in other words, the price of your home). Interest: This is a payment to the lender for the money borrowed (and is then added on to the initial price of your home). Taxes: Your annual city and county taxes assessed on your property are divided by the number of mortgage payments you make in a year and added into your mortgage. Insurance: Your monthly homeowner’s insurance payment covers you against various hazards and is added to your mortgage payment. Before you decide on any particular loan or lender, it’s important to do your research. That means meeting with lenders to ensure that you’re getting the best rate possible. 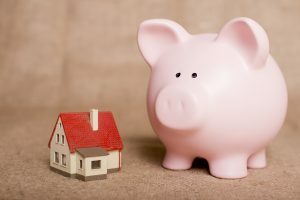 It’s also important to understand two different types of interest rates offered by mortgage lenders. Fixed-Rate Mortgage: The interest on an FRM will not change, so your monthly payments won’t change, making them very predictable. Adjustable-Rate Mortgage: The interest rate on an ARM will often be lower initially, but as interest rates do fluctuate with the market, they can be somewhat unpredictable or even result in higher payments. 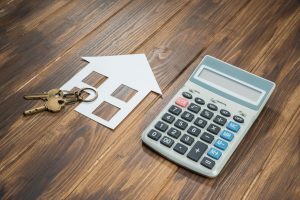 Now that you know what loan options are available to you, what you can expect to pay as a down payment, and what your likely interest rates will be, it’s time to determine how much you can afford to pay every month, which will then be used to calculate the price range of your home. Keep in mind that your mortgage costs will be based both on the price of the home and the CURRENT interest rates. A home’s affordability can vary from one day to the next based on the current rates. You don’t have to work with an agent—but it is highly recommended. Your agent should be someone you know you can trust, an expert in real estate in your area and neighborhood, and very proficient in working with buyers of your experience. Now it’s time for the fun part! You get to start shopping! This is where you get to decide exactly what you want and need in a home, from the type of house or townhouse to the location of the neighborhood to all the exciting interior and exterior amenities you just have to have! Make sure you keep detailed records of the homes you visit, noting things you liked, didn’t like, pros and cons, etc. Taking pictures can also help keep your memory fresh. Tip: Before you start touring homes, determine the actual selling price of homes in your preferred neighborhoods—not just their listing price—to get a better idea of the actual affordability of the location. You found the perfect house, and now it’s time for your and your agent to sit down and discuss your offer. It’s important to work together to determine a price you can comfortably afford but will also be a realistic offer for the seller to accept and will not be dismissed against any competing offers the seller might receive. What Will I Pay Upfront? Earnest money: Think of this as your security deposit. It’s paid when you submit your offer to show the seller that you are serious. When your offer is accepted, it is applied to your down payment or closing costs. Down Payment: This is determined by your loan, or possibly any government programs or assistance you have requested. Closing Costs: These are typically low for buyers and represent the fees associated with paperwork and lender charges. If the seller accepts your offer, it’s time for a home inspection. 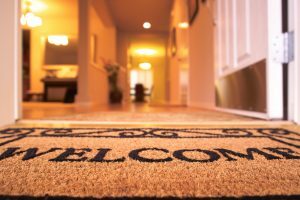 Before you close, you’ll want to have an experienced professional walk the house to ensure that there aren’t any lingering problems or maintenance issues that might not be visible at first glance. You don’t want to be hit with a serious maintenance or structural issue right after you move in. If necessary, you can request that the seller repair any issues you find. If everything looks good, it’s time to sign the paperwork, make final negotiations and payments, and get your keys! Before you sign any paperwork, it’s important that you carefully read over the contract with your agent or lawyer to ensure there are contingencies—that is, if something falls through with your mortgage, you aren’t still obligated to buy the home. Work with your chosen lender to submit your mortgage application, have your home appraised, and review predicted closing costs. There are many costs commonly associated with closing, including attorney fees, title insurance, appraisal fees, home inspection fees, courier fees, government recording fees, and taxes. Pay, Close, and Get Keys! It’s time to close! Meet with your agent, lender, and the seller to finalize the paperwork, sign your contracts, and pay your down payment and closing costs. Finally—the keys to your new home! Still Have Questions About Buying Your First Home in Central Indiana?